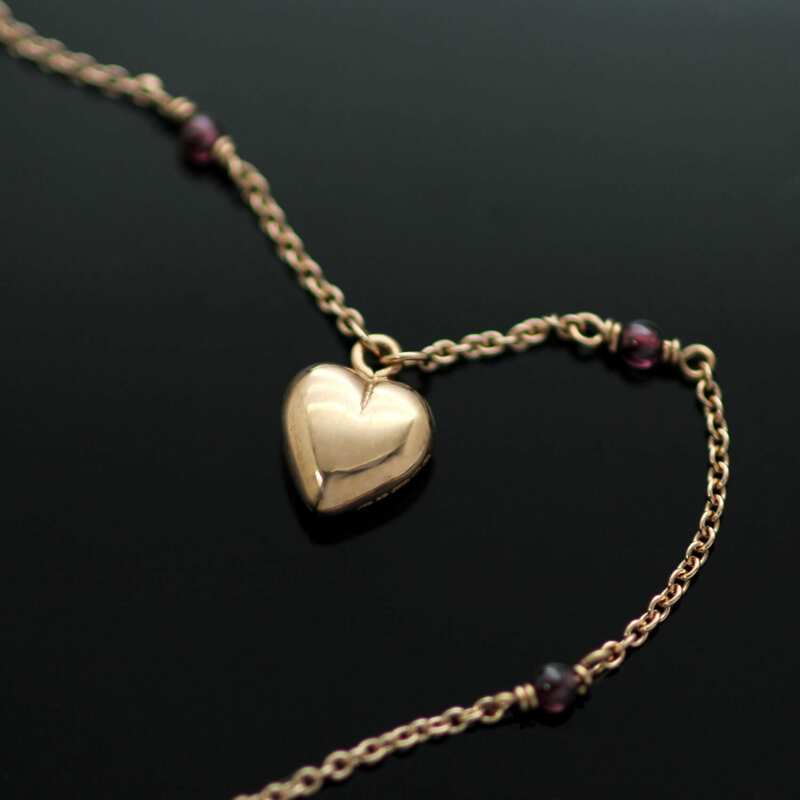 A delicate and contemporary solid Rose Gold necklace with Heart charm and sweet Garnet gemstone beads, designed and crafted by Julian Stephens. 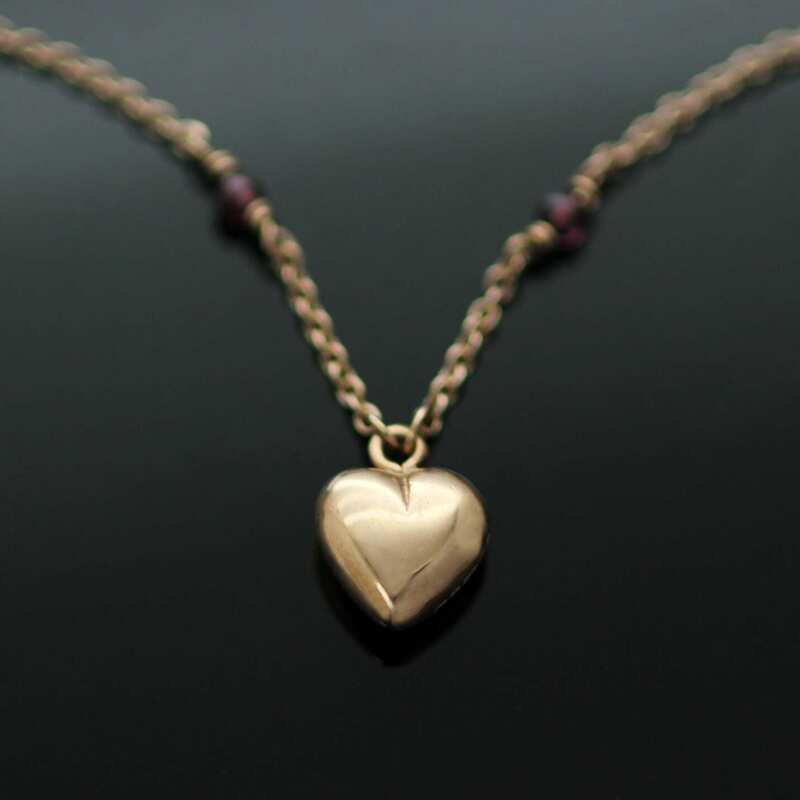 This modern necklace is handcrafted from solid 9ct Rose Gold, featuring a sweet solid Rose Gold Heart charm strung on a fine 18″ solid Rose Gold chain which has been thoughtfully adorned with ten precisely staggered dainty Garnet gem beads to add a delicate splash of ruby red colour to the piece. This beautiful, feminine necklace by Julian Stephens will add a subtle splash of sparkle to any outfit and comes presented in a sweet little branded gift box.